Spring is a time for new growth and new beginnings. 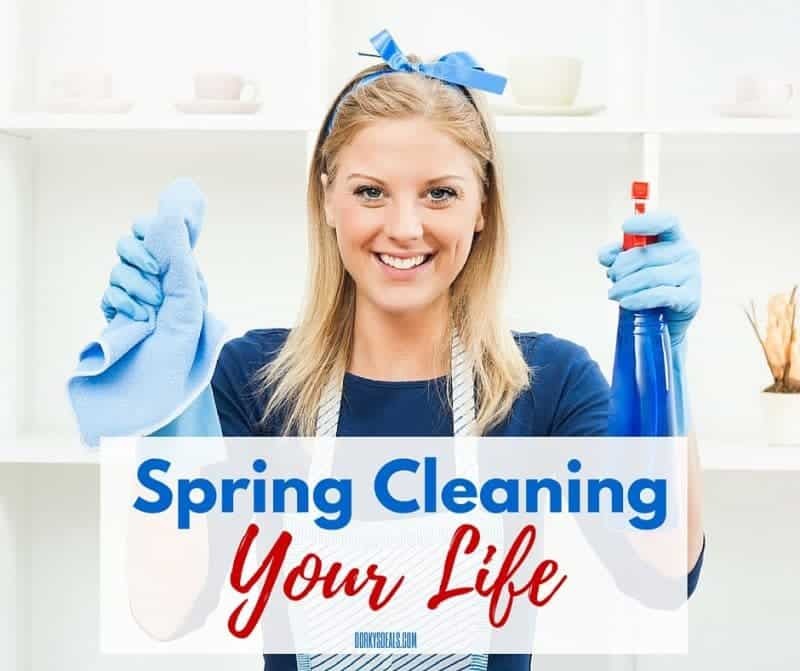 As you start spring cleaning your home, use that momentum to start spring cleaning your life as well. 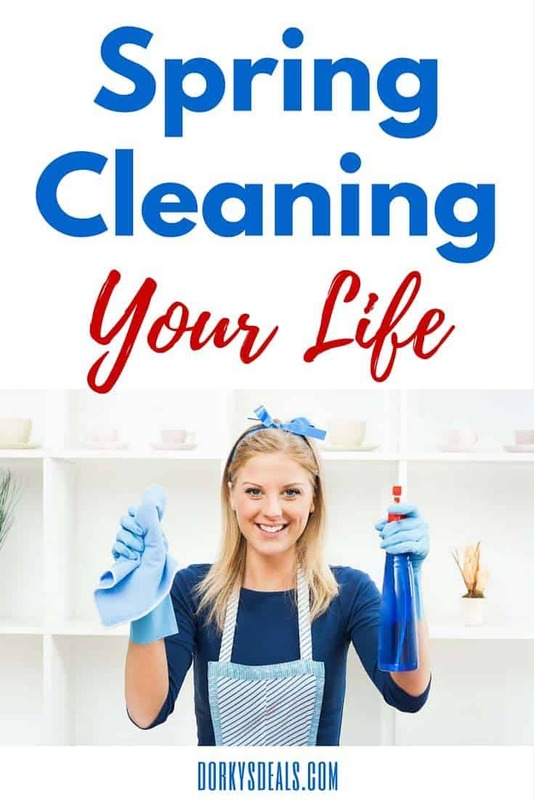 Read on for areas of your life that could use a little cleaning. Summer is just around the corner, and I have yet to finish my spring cleaning! It seem as if I have been working on my spring cleaning routine since the first day of spring! Between trying to simplify and de-clutter my home, and other areas of my life, it has been tedious but so very well worth it. Darci Maxwell has been kind enough to visit us today and share her tips on spring cleaning your life. Take a look at your friends and evaluate which friends are good and which friends tear you down. If there is someone in your life who tears you down or who is always negative, it may be time to let them go. If you can’t let someone go, talk to them about your relationship and how it is affecting you, and reach a compromise so that you can both be better. On the other hand, if there are any old friends that you have accidentally let go, now is the time to reach out to them and bring them back into your life. Spring is a great time to look at your financial situation. If you did your taxes right, you have a lot of information about your finances ready for you to clean up. Take a look at what debts you have, your current budget, and how much you make. Set financial goals and make sure that you include a plan to achieve them. Start paying off your debts and start saving money. For tips and tricks on how to save money this spring, check out this blog. After a few years of dating or marriage, most couples lazily allow the fire of their love to burn down to the coals. It’s time to once again start flirting with your significant other. Make a real effort to show them that you care about them. You can start by taking an extra ten seconds to say goodbye in the morning. Give them a long, deserved kiss. When they come home, take a break from what you are doing, and give them a warm smile and embrace before you give them the “honey-do” list. Have you let your personal values slip, allowed negativity to fester in your mind, or do you harbor any grudges? Take the time to do an inventory of the way you treat yourself and others and see what needs to change. If you are not living the way you wish you were, think about what morals are important to you and try every day to be a little better. If you tend to think negatively about yourself or others, start thinking more positive. Every time you think a negative thought, force yourself to think two positive things about that subject. If you are holding a grudge, forgive the person who has wronged you. It may take time, but it will be worth it in the end. Is your life too busy to handle? You are not alone. Our world has become incredibly busy and saturated with activities, it is hard to do everything. It may be time to take a look at what you are doing and to downsize your activities. It is ok to say no sometimes. If you are busy because you are taking your kids to school and their activities, see if you can carpool with other families, or cut back on what they are involved in. You also need to take care of yourself. Find time for yourself, even if you take an extra five minutes in the shower every morning or go on a quick walk around the block. You know that you should eat healthier, but it can be difficult to do so. However, eating healthy can be easier than you think. Start by eating out less, and cooking your own food. Put more fruits and vegetables in your diet, and eat more lean protein. Reduce your alcohol, fast food, and sugar intake. It is important to get enough exercise, and if the winter months slowed down your exercise routine, now is the time to vamp it up! 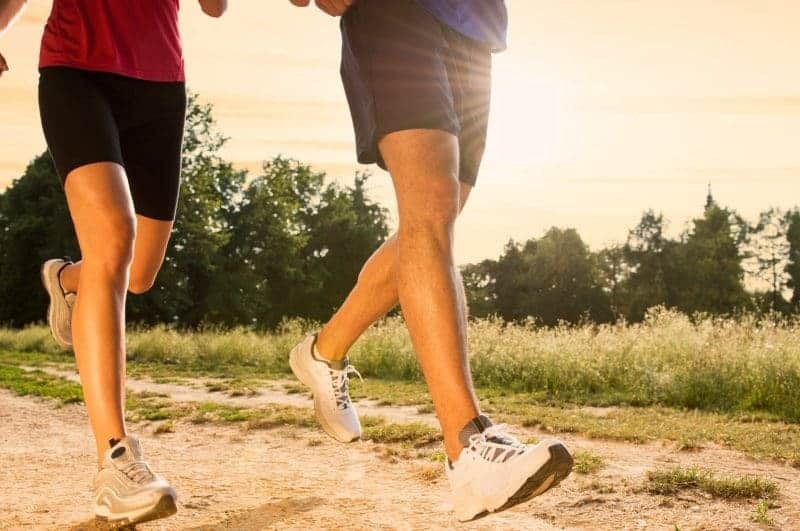 Use the beautiful spring weather as an excuse to go outside and exercise. Take a walk around a neighborhood, go on a hike, play sports with your family in the park, or go for a bike ride. Thanks for this – very inspiring! I agree wholeheartedly. Thank you! Everyone’s life can use a little spring cleaning. I know I can use some. Very inspiring! If only I could be this organized and consistant. I’m still a work in progress ? Some of the best advice I ever received was to get rid of toxic relationships in my life. I spring cleaned my “friends”, and it really helped! It doesn’t matter how much I purge, it always stacks up again LOL. I love this post though because it covers most everything in life, not just the house. This is a super article. All great ideas to help us Spring Clean a lot of areas. I definitely need to spring clean my life. I should start with spring cleaning my mind. This sounds good something to do probably every year!